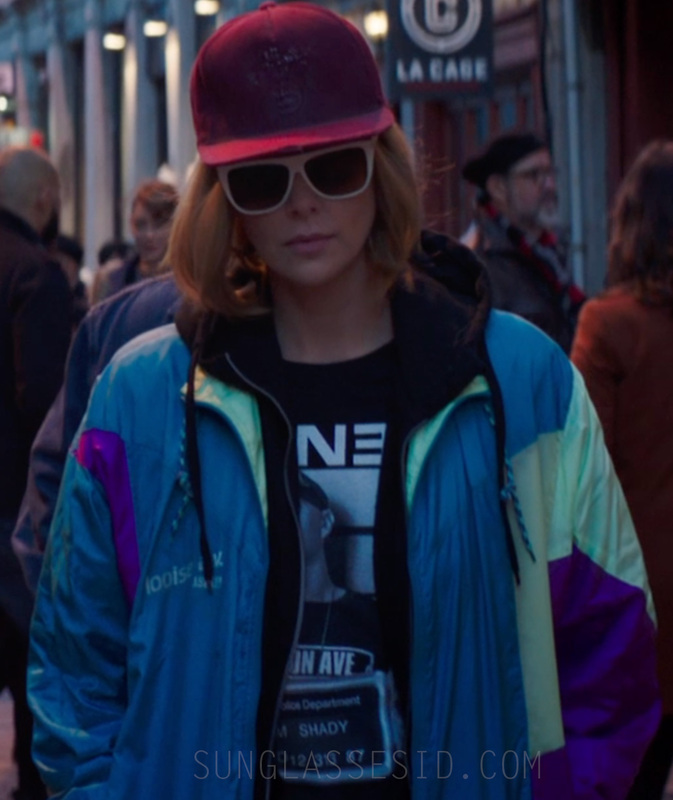 Charlize Theron wears a pair of white Saint Laurent SL1 sunglasses in the movie Long Shot (2019). The glasses have a white frame, brown gradient lenses and the Saint Laurent hinge on the corners. Saint Laurent SL1 square sunglasses in the color white are hard to find (they are sometimes available on eBay), but the model is still available online in many other colors, for example on Amazon. In the film Long Shot, Charlize Theron plays Charlotte Field, Secretary of State of the United States, presidential candidate the love interest of Fred (played by Seth Rogen). It's not the first movie that Theron wears Saint Laurent: in Atomic Blonde she wears Saint Laurent SL93 sunglasses.